Watch out for danger with the Paw Patrol pups with this cool Paw Patrol Lookout Playset! Includes a working lift, wrap around slide and a real working periscope so the included Chase figure can keep an eye out! Hit the PAW patrol badge to sound the alarm! Send Chase down the wrap around slide and straight into his included police vehicle. No job is too big and no pup is too small! 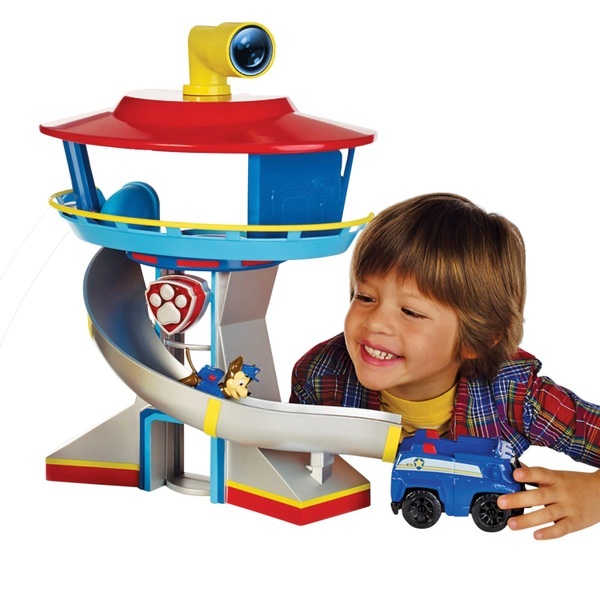 Save the day with the Paw Patrol Lookout Playset! In the dark of night, in the light of day, the Paw Patrol will serve Adventure Bay!